After the success of last years First Grand Rioja Tasting it was with much excitement that the Second Grand Rioja Tasting took place. 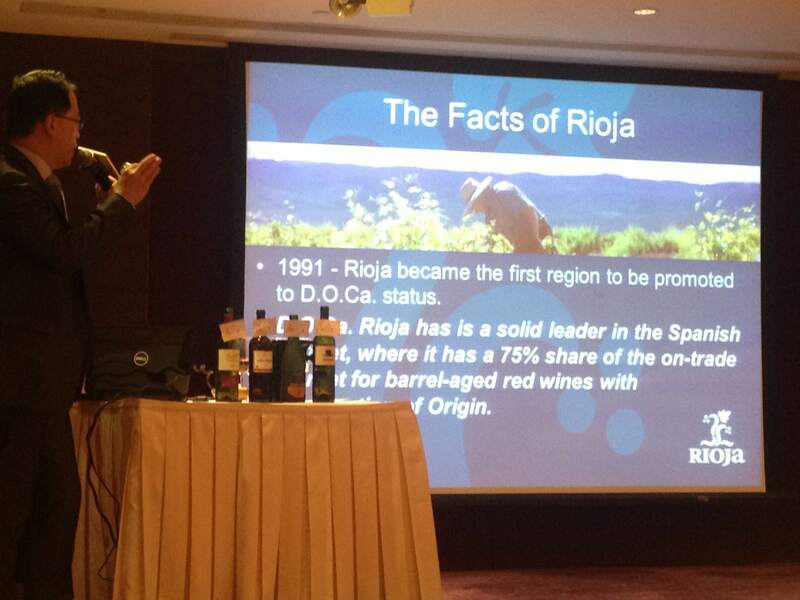 Over 60 wineries presented their version of one of Spain’s most famous red wines – Rioja, made from the grape Tempranillo. Alongside the red Rioja examples there was a small representation of white Rioja – made from Viura (also known as Macabeo), Malavasia and Garnacha Blanc. 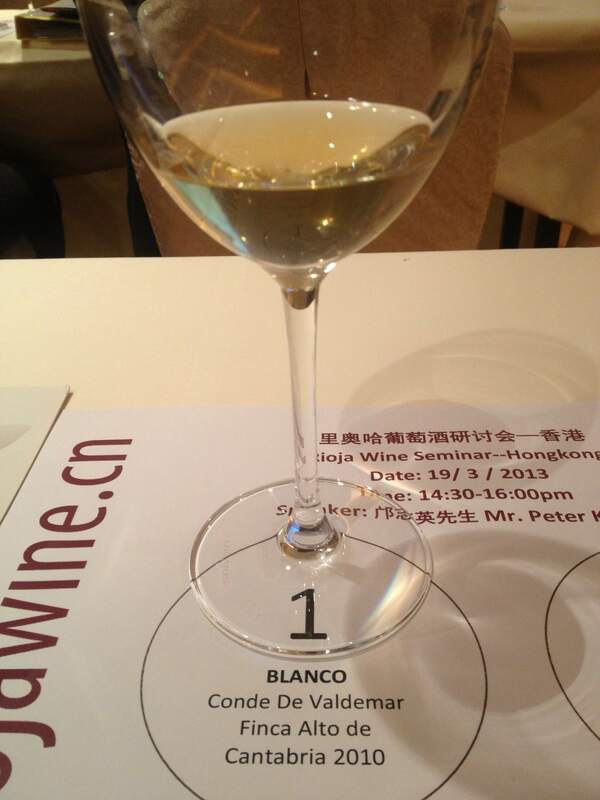 The Masterclass, presented by Peter Kwong, took us through some interesting facts and stats as we tasted. One such statistic demonstrating China’s growing affection for Rioja whereby Rioja exports to China increased 200% between 2010 and 2012. Rioja is traditionally known as a big red wine with sweet vanilla characteristics from American oak. More recently, Spanish wine producers have begun to experiment with other techniques – the use of French oak, stainless steel tanks and temperature control among others. The Beronia vineyard is one such example where the Rioja is aged in mixed barrels. The body of the barrel is made from American oak, while the top and bottom of the barrel are made from French oak. The goal being to have the best of both – the sweet spice of American oak and the structure of French oak. Of the wines on tasting the absolute stand out for me was the Viura (100%) from Conde de Valdemar. 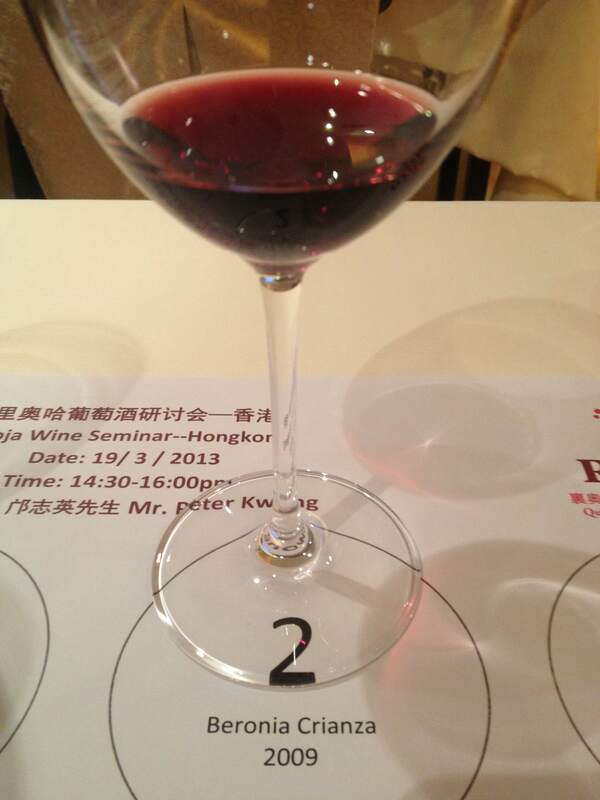 The wine was intriguing – such complexity on the nose and palate was unexpected in a wine of so few years (2010). 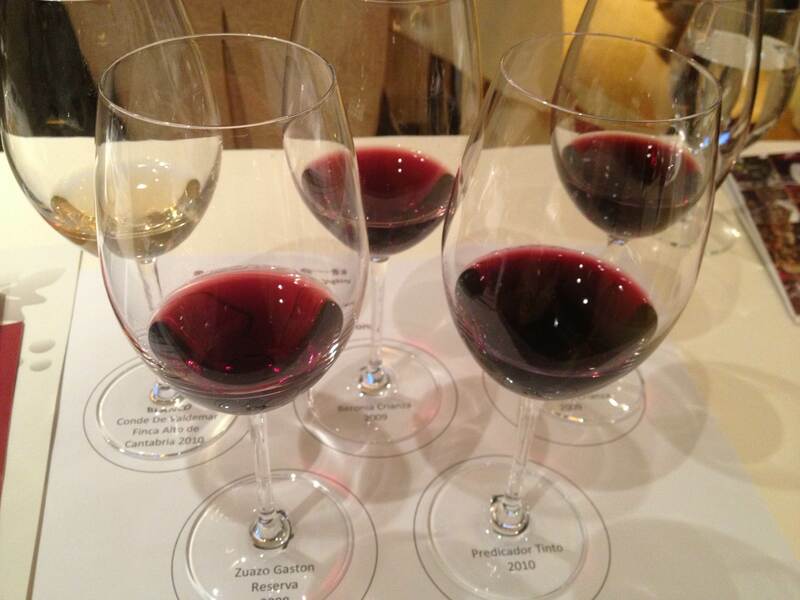 Of the reds my preferred wines were from Beronia and Zuazo Gaston. Both wines were blends and very approachable with medium acid and tannins around red and black fruits and a hint of sweet spice. The final wine, Predicador was the youngest red on tasting, (2010) with medium plus acidity and grippy tannins. Rather tightly coiled on the palate with notes of black fruits, spice and herbs. 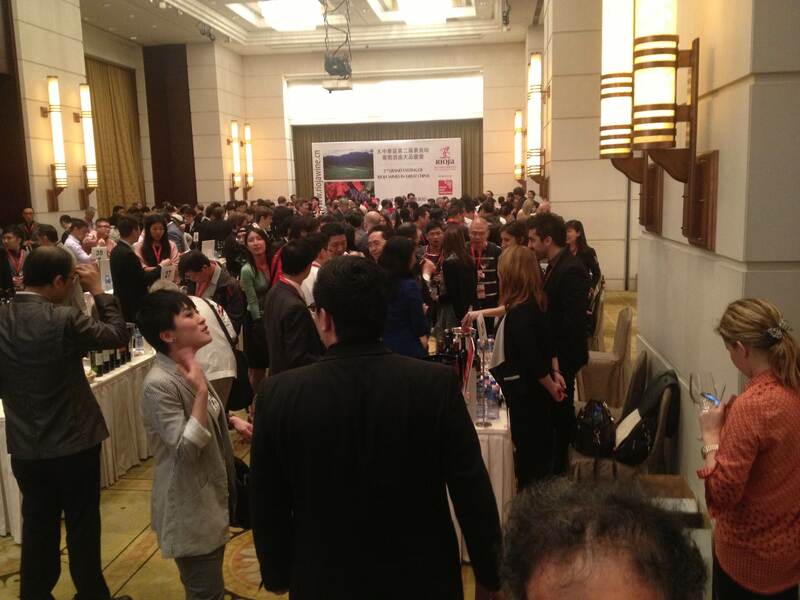 After the Masterclass I attended the tasting event. With so many wineries to choose from my strategy was to focus on the wines I was less familiar with – the white Spanish varieties. Of note, I tasted a fresh, crisp unoaked Virua from Pagos del Rey, a scrumptious oaked Viura (75%), Malvasia (25%) blend from Pagos de Leza and a Rosé from Bodegas Navajas made with Tempranillo (50%) and Virua (50%). Overall this event provided numerous examples of how winemakers in Spain are moving away from the traditionally rustic, heavily oaked style of Rioja and looking forward to more elegant and refined examples of this popular red wine. 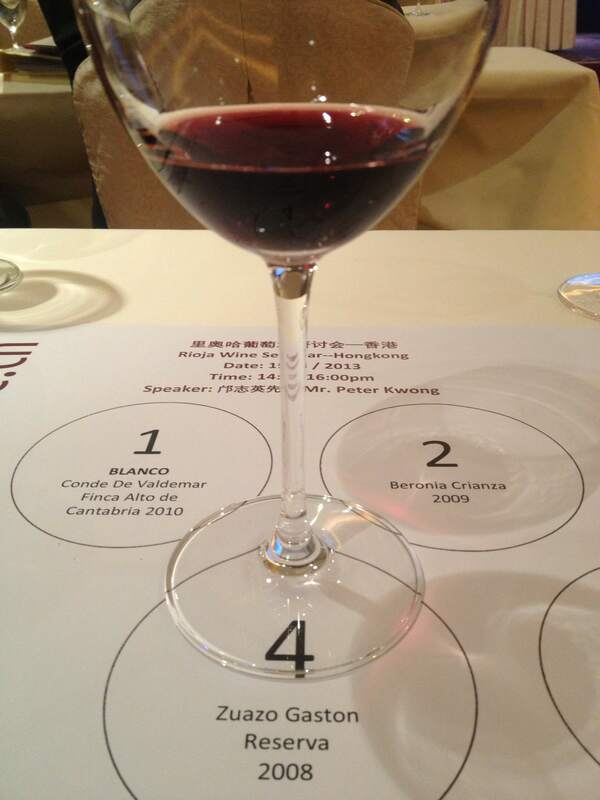 This is an exciting time for Spanish winemaking and while I expect the exports of Rioja to China will continue to increase, after the tasting yesterday, I know I will also be looking to enjoy some more examples of white Rioja! Medium minus gold colour. Aromas of heady honeysuckle, fresh white peach and candied lemon rind. On the palate, medium body and high acidity with flavours of sweet marmalade and lemon curd, honey and almond. Medium garnet colour. Aromas of red cherries, boiled lollies, vanilla, cut grass and pencil shavings. On the palate red and black cherries, black plums, vanilla, black pepper and tea leaves. Deep garnet colour. Aromas of black cherry and sweet vanilla spice somewhat overwhelmed by strong farmyard aromas (perhaps an indication of Brettanomyces*). On the palate sour black cherries and plums combined with pencil shavings and tea leaves. * Brettanomyces is a strain of yeast occasionally found on grapes and in wine. It is usually considered a spoilage yeast as it can produce aromas and flavours of animal and sweaty saddle. Medium garnet colour. Aromas of red cherries, soft jube lollies, pepper, sweet spice of cinnamon and nutmeg. On the palate, juicy red and black cherry flavours with black liquorice and a hint of vanilla. Deep purple colour. Aromas of blackberry, spice and herbal notes of mint and eucalyptus. On the palate, black cherry, vanilla and pepper. Look forward to trying some Spanish whites!